Get away from it all at Paradise Cove, Labadee’s premier private beach, followed by an immersive cultural experience at Le Village. 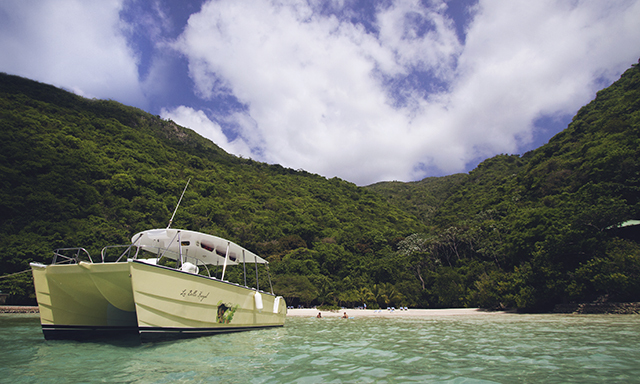 Start your day with a scenic boat ride to Paradise Cove where white sand and the warm Caribbean Sea await. Sit back and sip on a complimentary cocktail, or embark on a kayak adventure along the shore. Afterwards, join a knowledgeable guide as you explore an authentic Haitian teaching village and experience the sights, sounds, and rhythms of everyday Haitian life. Listen to local music and learn how peanut butter and coffee are prepared. Before you leave, make sure to visit the fishermen’s boats to see the fresh catch of the day. • Paradise Cove: Enjoy Labadee’s finest private beach surrounded by lush, tropical plants and your very own Bamboo Bar. • Sit back or kayak: Relax in a lounge chair or embark on a kayak adventure along the shore. • Le Village: Enjoy a guided tour of an authentic Haitian teaching village. • Guests must be able to descend from tour boat into knee high water to access Paradise Cove. • Beach chairs, floating mats, kayaks and snorkel equipment are available.